The new VSM50BT connects your vehicle and smartphone with Bluetooth technology, allowing you to control your car via the Viper SmartStart app. As you approach your car, the Bluetooth system in your phone connects with the VSM50BT automatically. When you open the SmartStart app, it detects the Bluetooth connection and automatically executes your commands instantly. Standalone Remote Keyless Entry system (locks, boot release). 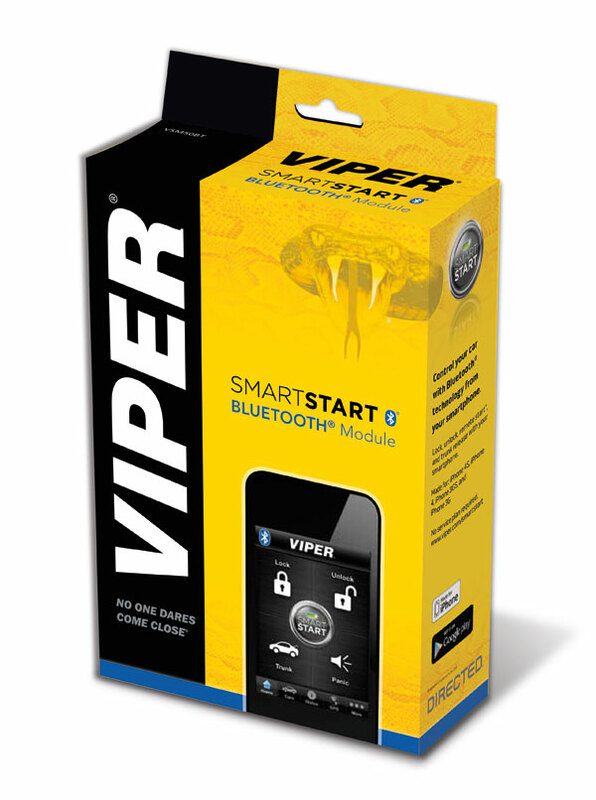 Additional features supported when connected to Viper Remote Start or Security and Remote Start Systems (remote start, panic, auxillary channels). Programmable flex outputs for more versatility. Connects between IVU and system CPU when added to existing system, using supplied harness. For systems with 4-pin RF harness, use optional 8210 PKE & SmartStart BT RF adaptor kit. YOUR NEAREST VIPER DEALER NOW. CLICK HERE.